Nigerian senate today confirmed Walter Onnoghen as the substantive chief justice of Nigeria. He was confirmed after he appeared before the upper legislative chamber. He fielded questions from the lawmakers who asked him on his plans to take the judiciary forward. Onnoghen was before the senate’s committee on whole which was presided over by Senate President Bukola Saraki for about 45 minutes. The CJN assured the senators that the Judiciary would be independent under his stewardship. He was confirmed after a voice vote. Ben Ayade, governor of Cross River state, and Ita Enag, adviser to President Muhammadu Buhari on senate, were present during the confirmation hearing. 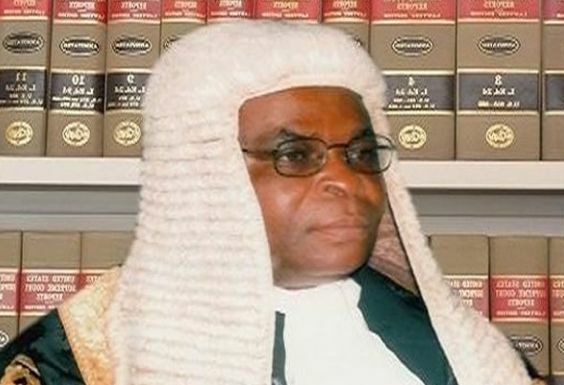 Walter Onnoghen from Cross River has made history as the only Southern to be CJN in 30 years. Congrats to our new CJN!